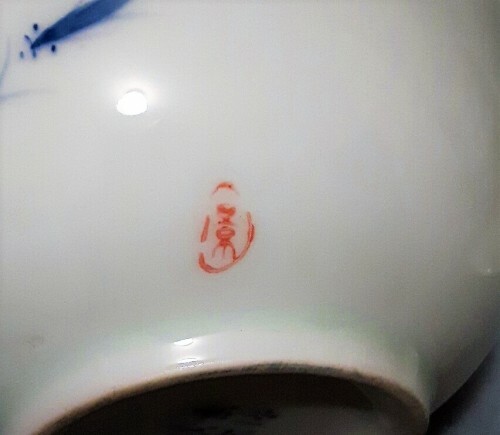 Can anyone identify this rice bowl? Thank you! David. The covered bowl with underplate looks quite contemporary. 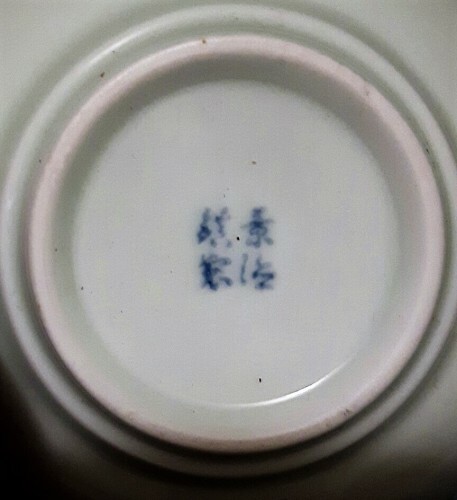 Its base-mark is a cursive form of "Made at Jingdezhen" (Jing de zhen zhi), and the red seal also looks to be the same "Jing" as in the base-mark but in seal script. 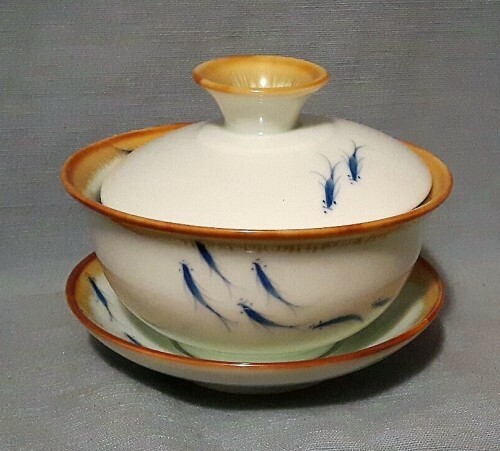 The fish in blue & white are painted in a style I've seen in some works by late Qing-to-Republic porcelain painting master Deng Bishan (1874-1930), who may have inspired this later motif. The markings don't seem to have found their way into the gotheborg.com or any other data base I frequent.